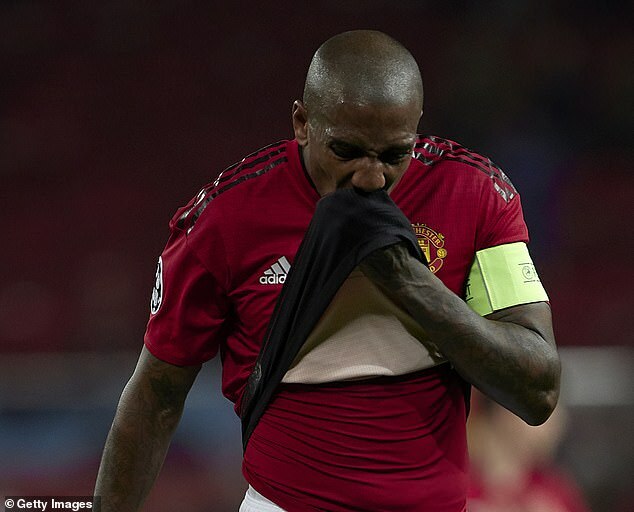 Ashley Young was lambasted by his own supporters for his performance against Barcelona on Wednesday night. 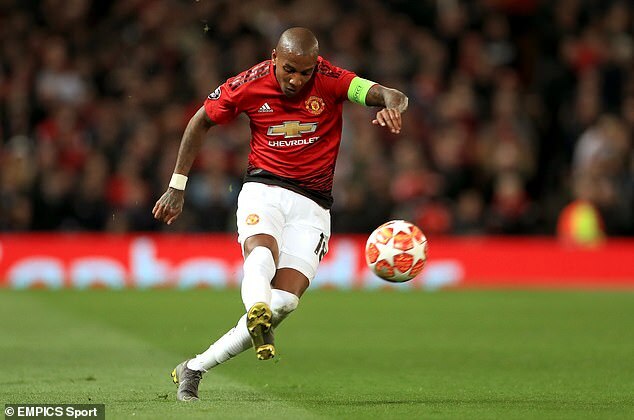 The Manchester United winger, who has been converted to a full-back in recent years, attempted 11 crosses but none of them found their intended target. While another person added: ‘76,000 people could see it in the stadium, millions of fans around the world can see it. The Red Devils have been linked to Crystal Palace defender Aaron Wan-Bissaka and one fan thinks he should replace Young. They said: ‘I’ve never seen a worse crosser in my life. Sign Wan-Bissaka and have him and [Diogo] Dalot instead of Young. Another fan posted a video of a basketball player consistently missing the hoop to highlight Young’s performance. He does not look like he be leaving Old Trafford any time soon, however, as the 33-year-old signed a one-year contract extension for the Red Devils in February. Ole Gunnar Solskjaer’s side Wednesday’s quarter-final first-leg match 1-0 as Luke Shaw diverted the ball into his own net. United failed to manage a shot on target and have only managed one goal in their last five home Champions League games.